The City of Oakland is updating the City’s Bike Plan and we want to hear from you! 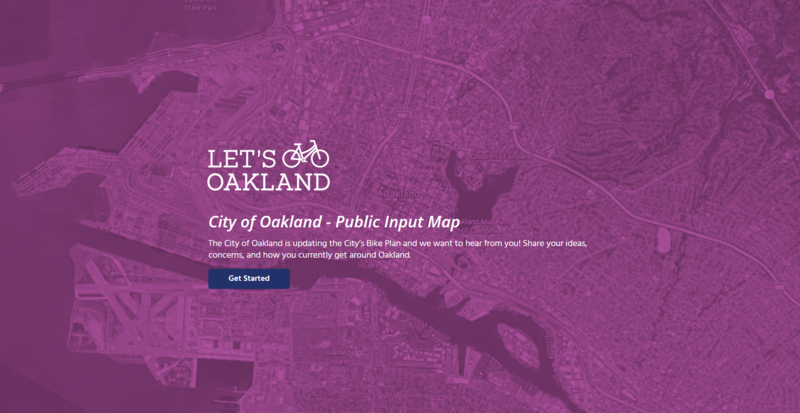 Check out this interactive Community Input Map to share your ideas, concerns, and how you currently get around Oakland. The goal of the of the Community Input Map is to capture as much feedback from Oaklanders about where they bike, need more bike parking, and where currently the bike network needs improvements. Feedback received through the Community Input Map will help guide decisions that will be included in the Oakland Bike Plan. We thank you for taking the time to give us input! We look forward to hearing all the feedback!